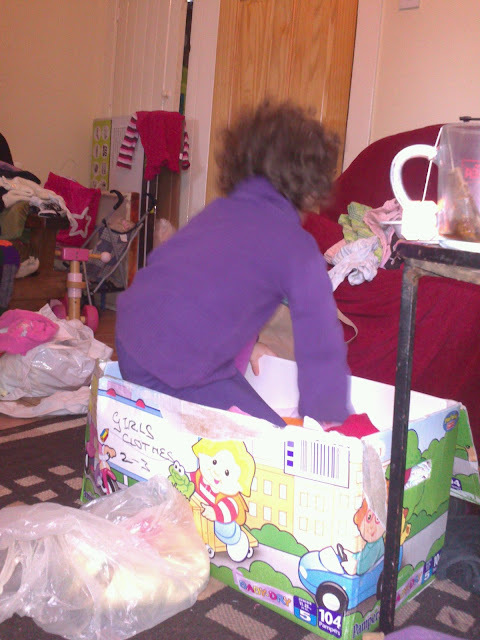 E is dosed with the cold today, she watched tv for a while but then wanted to play. Great entertainment! This blog was originally called Messy Mammy's - looking at the room around her, you can probably see why! But I'm currently reading Raising Freethinkers by Dale McGowan et al and playing with a snuffly two year old, so why would I want to waste time tidying?